Best Beach Guitar? Washburn Has a Solid Candidate. I’m not a guitar player. I am learning to play the ukulele, but frankly I have not been consistent enough. I seem to be learning the same three chords over and over again. But my son plays well, and he has always wanted one of these. 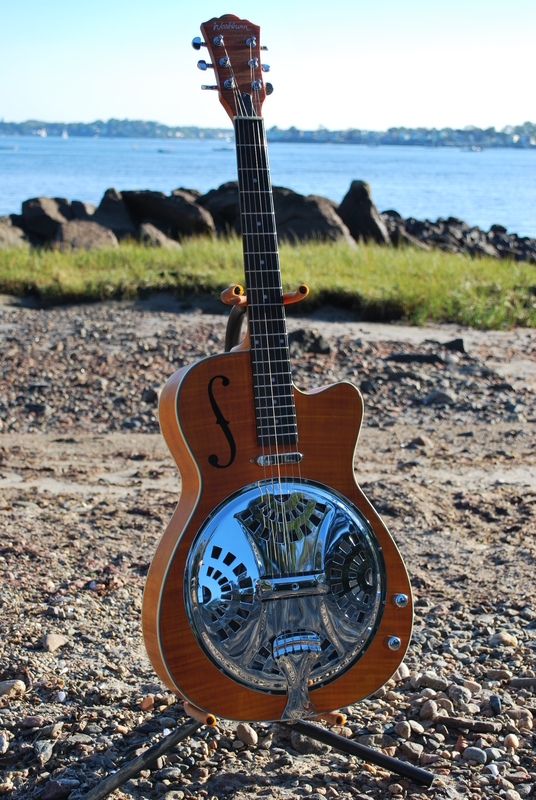 In lieu of a personal review, I’m linking to a well written review of the Washburn Resonator from the Daily Stoke. The review is on the electric version (Washburn 45RCE), which currently lists for $499 at Amazon. I think you could get away with the acoustic version (R15RCE), which is a hundred bucks cheaper. Check it our here at the Daily Stoke.